Hey, youse. This is sadly a mere shout for the moment. I am alive and back in Vancouver business, busying myself with school and deferring it, banging my head on my overslept bed, and ceiling. Oh, basement suite. You bring out the most colorful curses. But the real news, oh boy! is I’ve managed to lasso and buckaroo another WordPress into usefulness: megholle.com, a domain I’ve had kicking around but quiet since 2003, is now my professional work and school portfolio to showcase my library science nerdery and associated rambles. If you’ve ever wondered what it is I do all day, well, there you be. 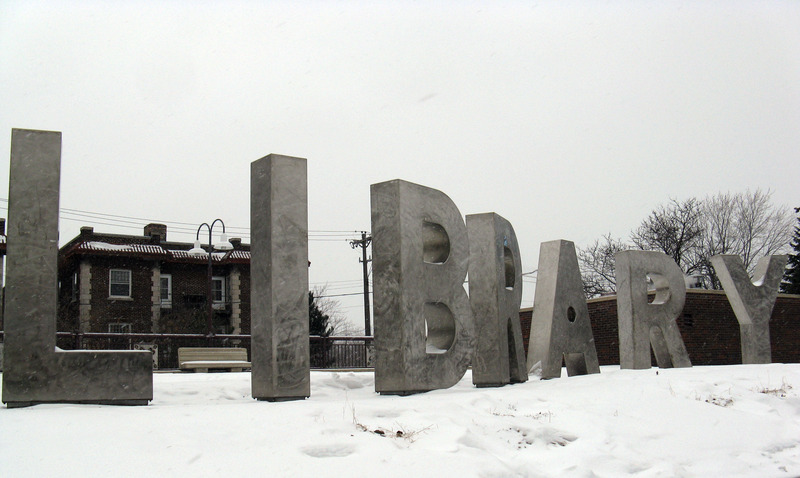 The library picture above is from the Walker branch in Minneapolis, taken with all my molecules intact, in the then present, feet in the street of Minneapolis iced over. It was teary. I hope to get a few more pics and thoughts up from my December travels shortly, but we’ll see… megholle.com devoured me (ahem, and an addiction to The Wire), and I’ve been neglecting my studies.